Nothing raises an Electric Bill like Faulty Windows! Windows that let your nice Cool Air seep out are nothing but a nuisance! Rockwall Metal Roofing is here to help! Replacing Windows is a task best left to the professionals; and you don't get much more professional than the Contractors at Rockwall Metal Roofing! 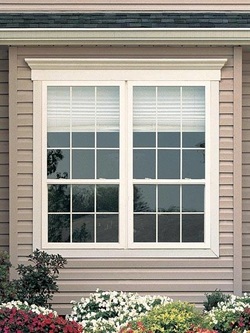 We work Quickly and Efficiently to get your Windows replaced in the most Stress Free atmosphere possible. And with the Summer Temperatures, you want the most Energy Efficient windows you can find! Rockwall Metal Roofing only buys the best quality equipment we can find! This insures that we install the best quality equipment for your home. If we wouldn't use it on our home, we won't use it on yours! We aren't pleased if you aren't! Until you are 100% satisfied, we aren't either! Needing to add windows? We can do that too! Whether you are renovating a pre-existing structure or completing an add on, we can install any and all windows you need! With only the best equipment, you are sure to be pleased with the final result! We only want the best for you and your home, so we only supply the best and hire the best! Call us now and get a FREE Estimate! Our FREE Estimate comes Obligation FREE! We want you to shop around! We want you to get the best deal. With our highly competitive prices, we try and make Rockwall Metal Roofing the best deal around! Call NOW or fill out the Form on the Right and we will get back with you as soon as possible! Let us Serve You! To better your Home or Office efficiency, give our friends a call for HVAC Services or Air Conditioner Repair in Rockwall, Tx.